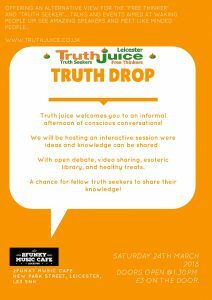 This month we will be hosting another Truth Drop event. This is an opportunity to come together and share some ideas. We will host an interactive workshop that will encourage discussion and debate. Participation is optional, you can always just observe and absorb! 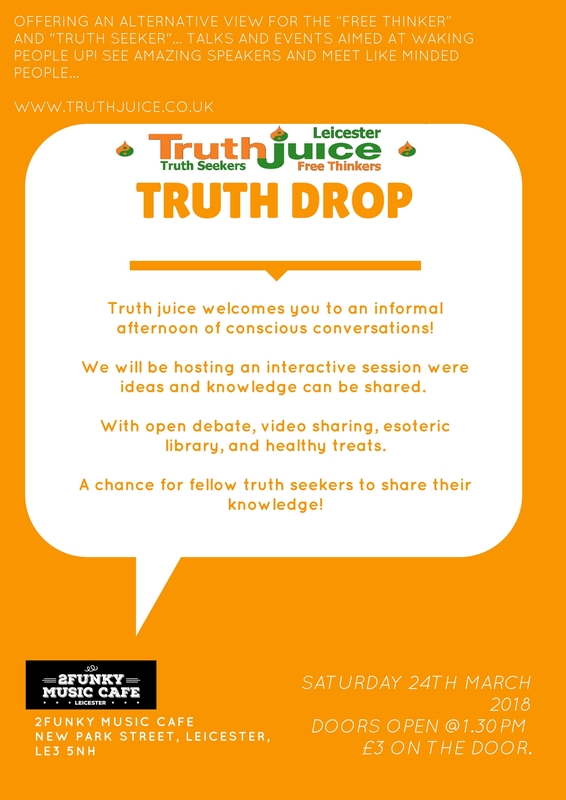 Open discussions, Video sharing, Esoteric Library and some healthy treats.